This is my fourth delivery from The Keto Box, and I feel like pretty much every time I’ve opened one, I found myself thinking, “Wow, this is even better than the last box!” Now sometimes that opinion has changed a little after actually trying the products (though I’ve been happy with all of my boxes so far), but this box was absolutely the best one that I’ve received since signing up. 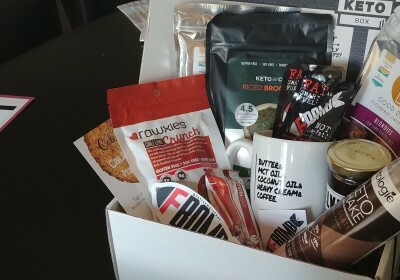 Before we get to what was inside, a quick refresher: The Keto Box is a monthly subscription that describes itself as a “low carb care package for your body.” For $39.99/month (and free shipping), subscribers receive a box full of 5-8 keto snacks and other products delivered to their doorstep. 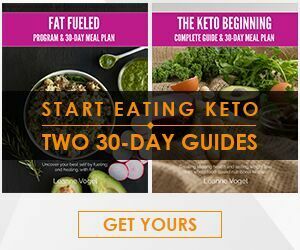 You can view my reviews of previous months of The Keto Box here. 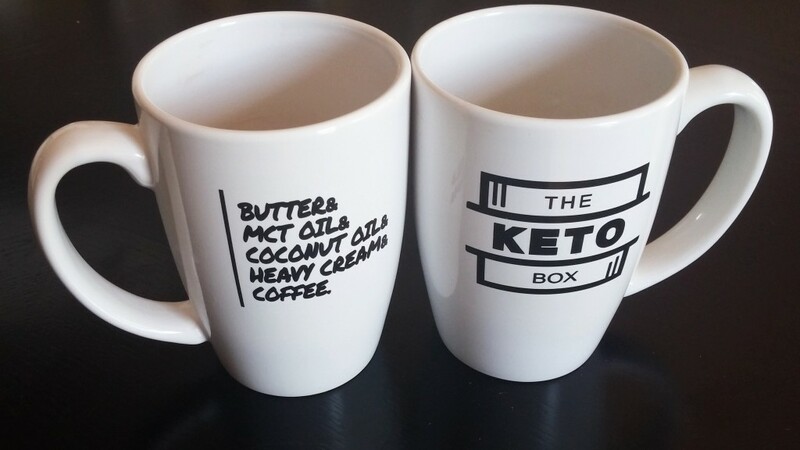 If you haven’t subscribed yet, you will receive the awesome The Keto Box mug (pictured below) for FREE with your first box when you sign up here using the code THEMUG10. I was a big fan of the end result, especially when served up with a sprinkle of cinnamon and some freshly whipped heavy cream. I wouldn’t complain if the mix was just a little less sweet, but the flavors are balanced overall and the texture is super rich and satisfying. Since I had two packages of mix to play with, I was a little more adventurous this time. I tried additions like lemon extract and shredded coconut to mix things up a little. I also learned that you can half the recipe if you’re careful, and a half batch fits perfectly in the same mini skillet I use for my keto skillet brownies! I was really intrigued by this product when I saw it in the box. Riced cauliflower is something I use regularly in my meals, but I usually make it fresh, and riced broccoli (let alone dried riced broccoli) was something that I hadn’t even considered before! 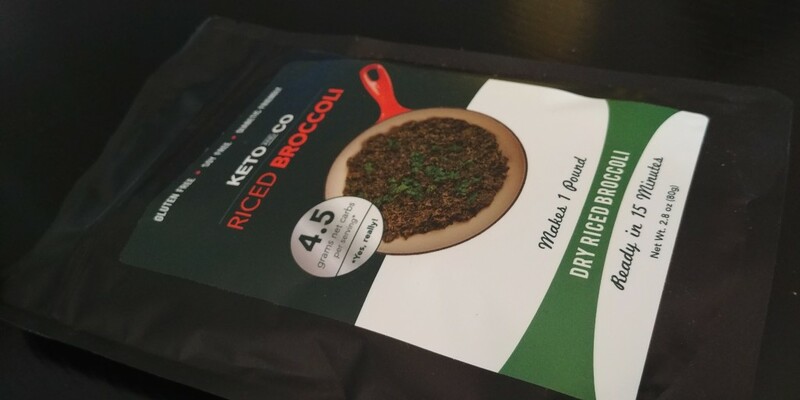 Holding the package in my hands, I was a bit skeptical that it would make 5 servings as the instructions said, but after cooking with water and butter as directed, you actually do end up with quite a bit of broccoli rice. The texture is a bit finer than cauliflower rice, and the flavor is a bit more pronounced (like comparing “wild” or pilaf rice to white rice). 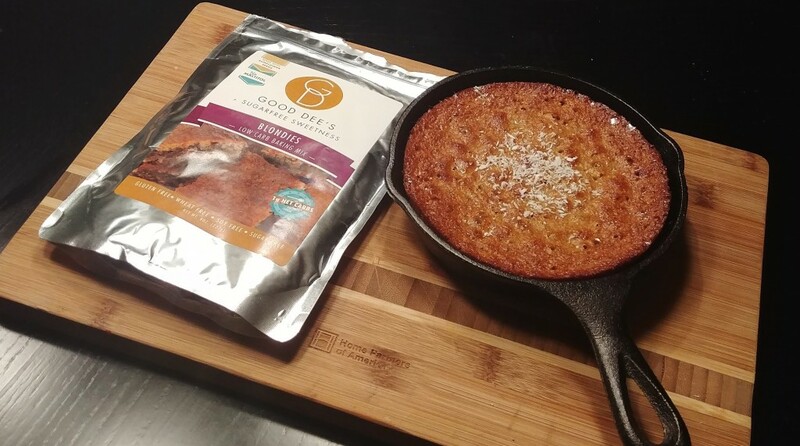 It was definitely interesting to try, and I’ll probably look into this brand’s dried cauliflower options for those days when I’d rather save some time and clean up compared to making my own. Yum! 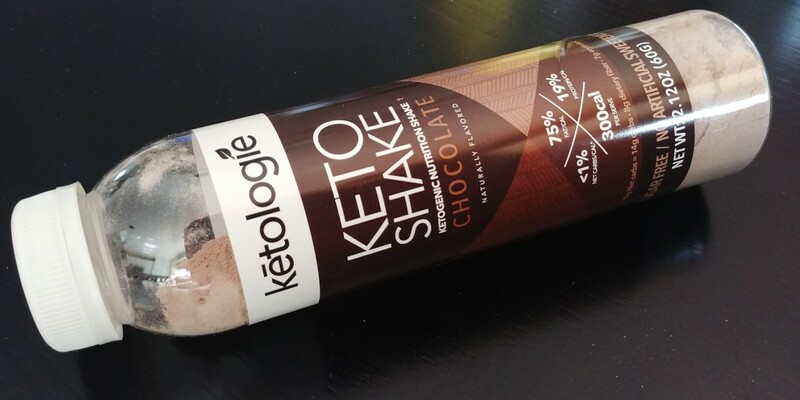 This sample of Ketologie’s meal replacement shake was totally delicious! It came as a powder in a plastic bottle. You fill the bottle with your liquid of choice and then shake to mix. Alternatively, you can mix/blend it in a separate container if desired. I tried it with unsweetened vanilla almond milk initially, and found the flavor to be super rich and satisfying. Adding a blit of coffee made it even better! The texture is thicker than a traditional protein shake, and when mixed with ice cold liquid, it’s almost like drinking a milkshake. It’s sweet but not too sweet, and best of all it has perfect keto macros! Definitely something I’m eager to try more of. These are a little hard to describe to someone who hasn’t seen/tasted them. 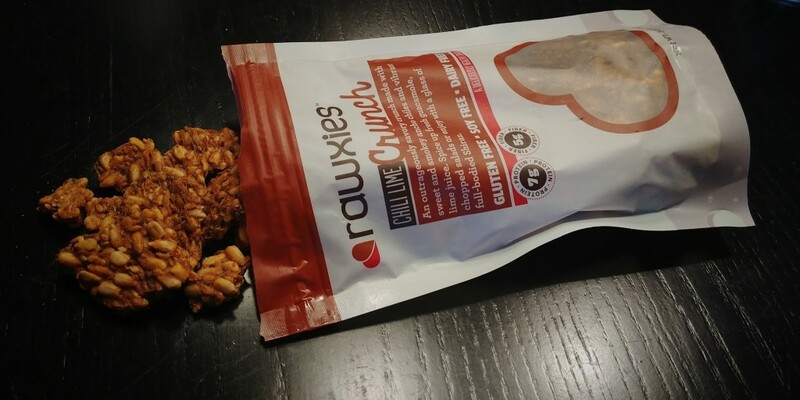 Even the Rawxies site only manages to say that they are “outrageously savory crunch made with sweet and smokey ancho chiles and vibrant lime juice” ….without quite telling you what a “crunch” is. The best description I can offer is that they are like savoury, crunchy clusters or crackers, similar to flax crackers but with a lot less of the flax aftertaste and mouthfeel thanks to the use of sunflower seeds instead of whole flax seeds (flax meal is included, though). 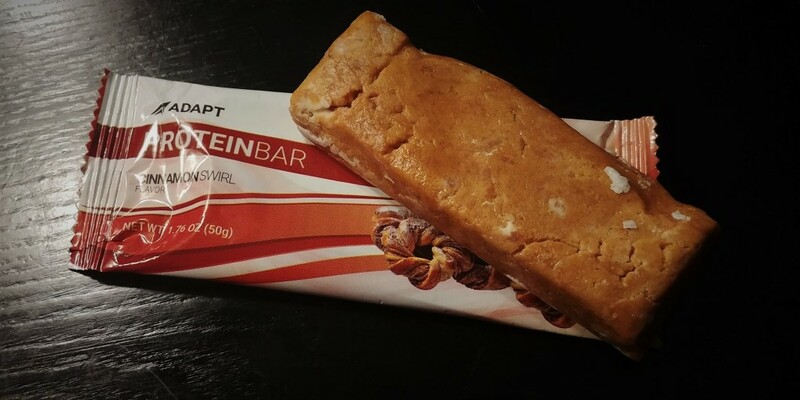 This is a low carb protein bar option, similar to Quest Bars. This particular flavor reminded me very strongly of the comparable Quest Bar flavor, but with a slightly denser texture. I warmed it up a little before eating and enjoyed the taste, though I do wish the cinnamon flavor had been a bit stronger. These bars are sweetened with erythritol and stevia, and also include MCT oil as a source of healthy, ketogenic fats. I would be interested in trying the other flavors, since this one was just missing a little something special for me. 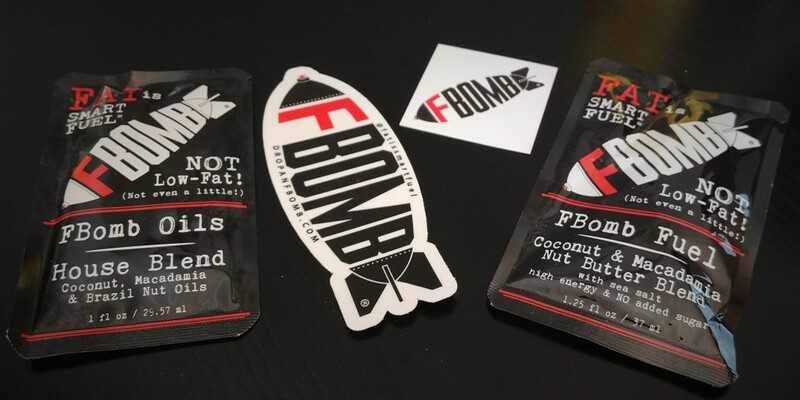 I’ve been dying to try some FBomb products, so I was happy to see these in the box. These are basically a way to get some extra healthy fats in, either as a snack (FBomb Fuel) or as an ingredient/topping (FBomb Oils). The box included one variety of each to try! I used the House Blend oils in my coffee, and loved how rich and creamy it made it even without adding any dairy alongside it. I enjoyed the coconut/macadamia nut butter blend as a snack, and also as a topping/dip for fresh strawberries. Both delicious! I love that these are fats from quality sources, and who doesn’t love an excuse to talk about dropping FBombs? The Keto Box included a couple stickers from the brand as well. 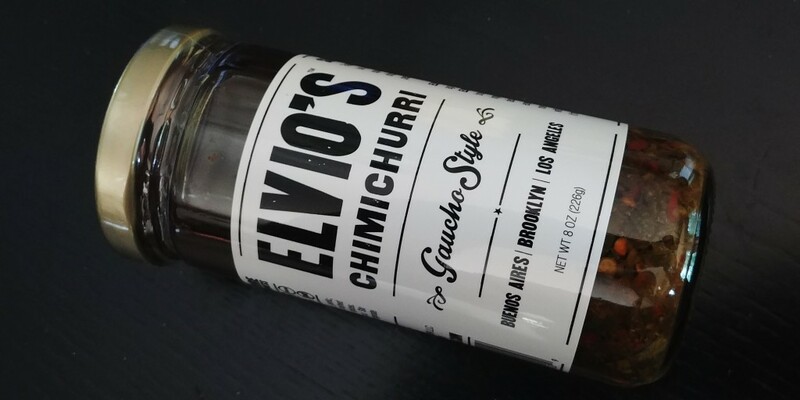 This chimichurri sauce is handcrafted in small batches from locally sourced ingredients, and is both keto and paleo friendly while being free of added sugar, preservatives, gluten, GMO ingredients, and animal products. Basically, it will fit into a wide range of diets while also being super versatile and super tasty. I’ve used it as a marinade for chicken, a topping for steak tacos, an ingredient in homemade salad dressing, a sauce for zuchinni noodles, and more! I’ve made chimichurri from scratch a couple of times, but having this on hand in the pantry has been a convenient and macro-friendly way to add flavor to my meals. As I mentioned previously, I’m pretty confident in saying that this was the best month of The Keto Box that I’ve experienced so far. Even without counting my doubled blondie mix, the value of the items in this box clears the cost of subscription easily. Once you factor in the doubled items for this month, plus the free shipping and subscriber discounts (I used 3 of them! ), plus the value of getting to try a bunch of new keto products, the value was 110% there for me this month. And once again, there was the mix of “treat” and “staple” items that I’ve come to expect from The Keto Box. July was a huge win for me! And don’t forget, there’s still time to get in on the August box when you head here to sign up for The Keto Box. 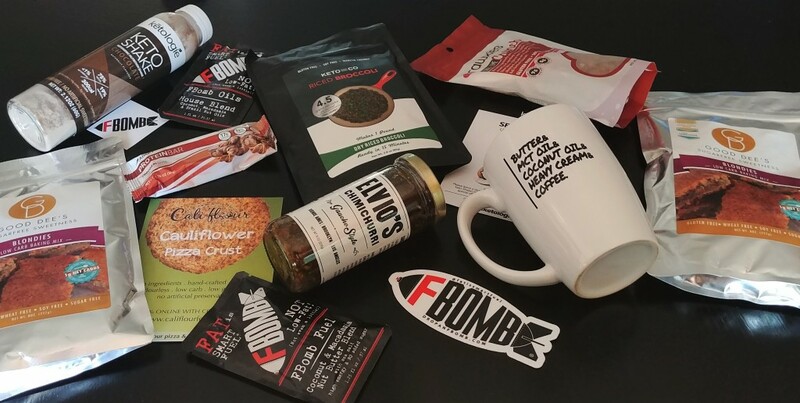 If you enter the code THEMUG10 at checkout, you’ll also receive the lovely mug pictured below in your first box!